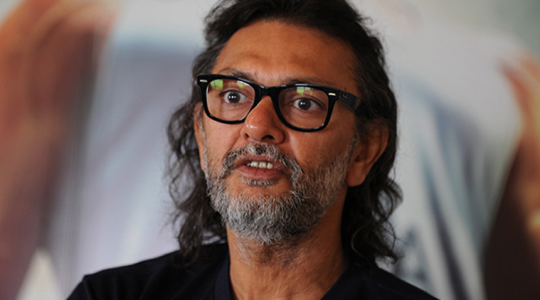 Love, Romance and relationships have always fascinated director Rakeysh Omprakash Mehra and his films have always centered around it. We caught up with him in between the promotions of his latest film, Mirzya. So, we have a new pair in your film now? Yes, Saiyami is hardworking and a down-to earth kind of a girl whereas Harshvardhan is very intelligent and handsome. I wanted a fresh pair for my film. I am too proud of my lead pair. Romance has always been the theme of your films but why such a long gap after each film? Lot of us get colored by the idea of romance. Love and relationship are two different things. Regarding why I take time to make a film… I cannot repeat my scene or film. I take time to make a film. 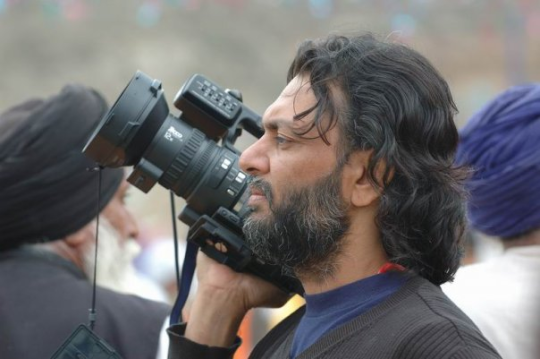 I write the screenplay first and then decide to direct it. I have realized that I have to work faster. I haven’t slept properly for 15 years. I am now writing my next film. You are also a great fan of Amitabh Bachchan? Yes, I would love to cast him as an eight-year-old. If I was a woman I would have proposed to him. I can’t go to him with an ordinary script. He is always there on my mind. I am amazed at all the young writers and makers who are doing amazing work. 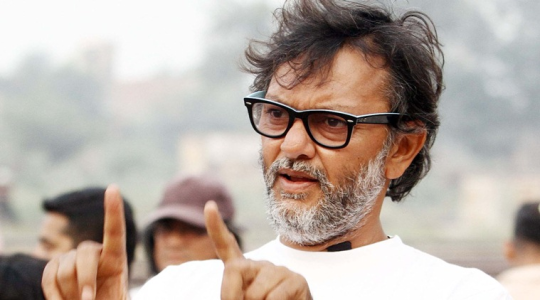 I am not able to think on those lines and they have been making great films with him. I was from old Delhi and my father was working in a hotel. We didn’t even have a TV in our house. When I was growing up there were films like Roti Kapda Aur Makan, Shor and such films and I could not relate to it. I related to 60’s and even now I can relate to films like Neecha Nagar and Haqeeqat, Mother India, Johnny Mera Naam, Mughale Azam. What’s your next film about? I am disturbed by the fact that there are no toilets in Mumbai for the women population. There are some but they are too few and far in between. I want to raise this issue. I have done a lot of research on the subject with help from journalists. My next film will be based on that. What about your children will we see them in your profession? My son is not interested in the profession. My daughter Bhairavi wrote a short film titled “The girl who kicked the boy”. The film was commissioned by the Bill and Melinda Gates Foundation called The Art of Saving a Life. She is just 16. I want the short film to go to Busan Film Festival and other festivals. We are working on it now.